Choosing affordable wedding favors is a great way to keep your budget in check but there is no need for them to look cheap. You want a favor that your guests will enjoy and the best way to do that is have a look at favors that are either edible or something that you can use. Keepsakes will also be treasured, especially if it is very personal to you both. However, one word of advice is to keep an eye on the overall cost of all your favors because $4 sounds cheap until you times it by the number of guests you want to buy a favor for. 50 guests and you are then looking at $200. To help you choose favors that will fit your budget here is the list of those that won't break the bank. 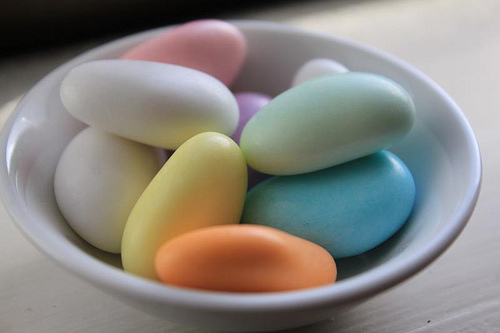 Jordan Almonds - very traditional wedding favor and if you buy them at a regular candy store they will cost a lot less than at a wedding store. Full history of this great cheap wedding favor here! Candy - again if you buy your candy at a regular store it will cost a lot less, you could have your favorite in a mini favor box, or have bowls on each table. Candy buffets are popular for a favor, all you will need are little paper bags for each guest and then choose the candy for the buffet. You could have candy in your wedding colors or all of your favorites. Display them in jars and provide little scoops. Decorated cookies - these are affordable wedding favors if you make them yourself, otherwise they will cost a few dollars each! You can buy cookie cutters in all sorts of different shapes; wedding cakes, leaves, boats, flowers, bride and groom - whatever your theme there will be a cookie cutter for you. 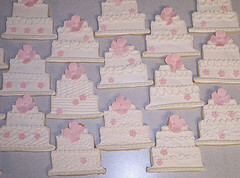 Check out the video below if you want to have a go at decorating your own wedding cookies. Seed packets - for this to be an affordable favor make them up yourself, buy your seed in bulk and fill little decorated paper envelopes for your guests to take away and plant. 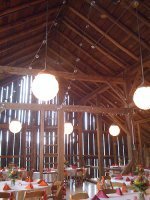 You could have seeds that would grow your wedding bouquet, or flowers from the wedding, or even seeds to grow your wedding buffet! Dried lavender sachets smell gorgeous and they don't cost that much. You can buy lavender in big bags for you to fill your own sachets, the little favor bags would work really well and then your guests will have a lasting reminder of your wedding when they take them home.Your own art - if you love to paint or draw then create a mini work of art for your guests to take home to remind them of your day. This will take time to put together but is such a personal gift that it will be treasured. 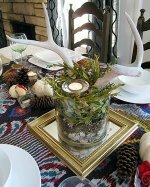 Mini plants - these could be your table decorations as well as your favors. Have mini plants at the tables, one for each family rather than one for each guest as it could get expensive! Be creative with the pots, you could decorate them or even use teacups, find something that fits with your theme that you can buy cheaply or already have. If you are green fingered then you can grow the plants from seed. Recipes - this could be a family secret recipe written on a mini recipe card or a mason jar filled with all of the ingredients ready for your guests to make themselves. A photo of the two of you with your guest and a little thank you note. As you can have trully unique affordable favors by finding something that you know your guests will love. As well as making and putting together your own wedding favors you can still find some that won't break the bank. Here are some that I think are fun and the prices are pretty amazing too! 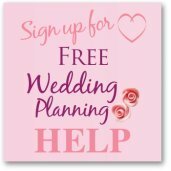 American Bridal has loads of great wedding items. 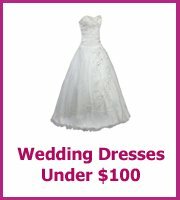 You might be interested in saving 50-70% off Clearance at AmericanBridal.com!